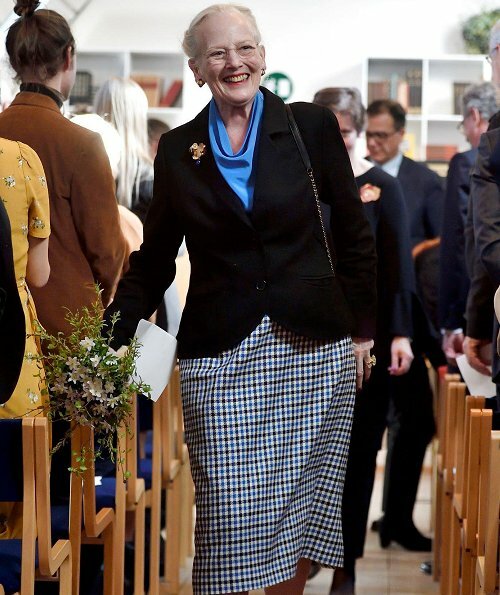 On April 09, 2019, Queen Margrethe II of Denmark attended Rungstedlund Award 2019 ceremony held at Karen Blixen Museum in Rungsted. The Rungstedlund Award is annually presented to a person who has made a notable contribution in an area related to Karen Blixen. The Rungstedlund Award is an award of honor and was established by the Rungstedlund Foundation (Rungstedlundfonden) in 1991. 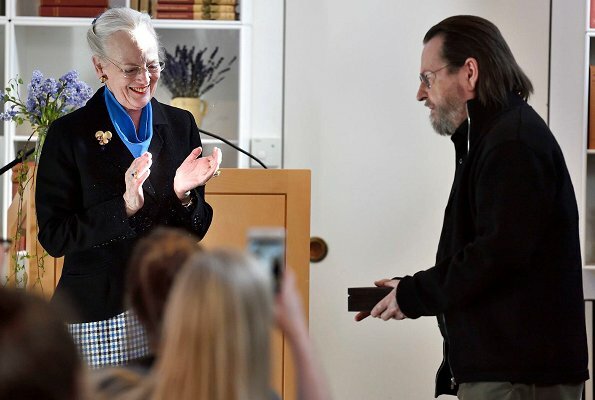 Queen Margrethe presented 2019 Rungstedlund Prize to the director Lars von Trier. The Queen is a Patron of the Rungstedlund Foundation. Baroness Karen Christenze von Blixen-Finecke (1885 - 1962) was a Danish author who wrote works in Danish and English. Queen Margarethe looks great here. The blue blouse (scarf??) really lifts the outfit. We know this authoress as Isak Dinesen who wrote Out of Africa among other works. The queen is very nicely dressed and as was mentioned the bright blue brings out the blue in the skirt and is the right “pop” of color we grey haired women need. 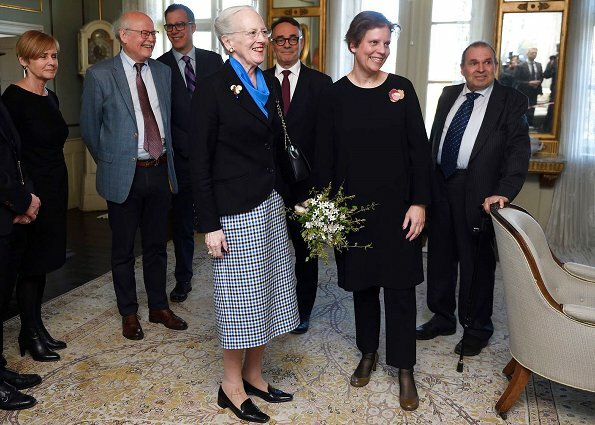 Queen Margrethe is nicely dressed, but a little ordinary, Karen Blixen was always imaginatively dressed and would also have been so with such a prize award. Huge fan of her books, but not of any of Lars von Trier's films! The Queen today in a regular everyday outfit, she looks good. The best is her smile.